Fondazione Bruto e Poerio Carpigiani – La prima Fondazione al Mondo dedicata al Gelato Artigianale » Archive » Soluzioni Gelaterie Solidali (SGS): stop social exclusion with gelato! 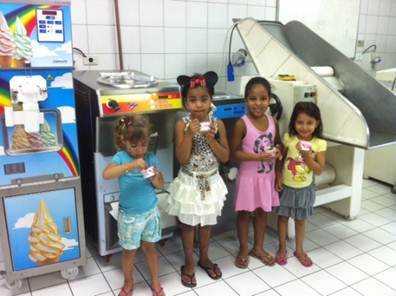 Soluzioni Gelaterie Solidali (SGS): stop social exclusion with gelato! An international project that combines gelato and entrepreneurship. Sponsored by the Bruto and Poerio Carpigiani Foundation, which provides logistical support, “Soluzioni Gelaterie Solidali” (= Gelato shops as solutions for solidarity) is an initiative in collaboration with Carpigiani Gelato University, the reference for the gelato education, and Carpigiani, world leading manufacturer of gelato machines that contributes throughout the supply of machines and the mediation with companies in the gelato industry. The mission is to fight the social exclusion – the physical and the psychic one, the one due to poverty, addictions, unemployment and illiteracy … – . We stimulate the creation of activities of solidarity based on the production of artisan gelato throughout the world. Our partners are associations (NGOs, non-profit organizations), local institutions, international institutions (EU, UN), companies that sponsor the project, lenders (credit system, ethical finance) and donors (who support the project through crowdfunding). Would you like to support us? Write at info@fondazionecarpigiani.it or call +39 051 6505111. October 20, 2016 | Filed under Uncategorized @en.